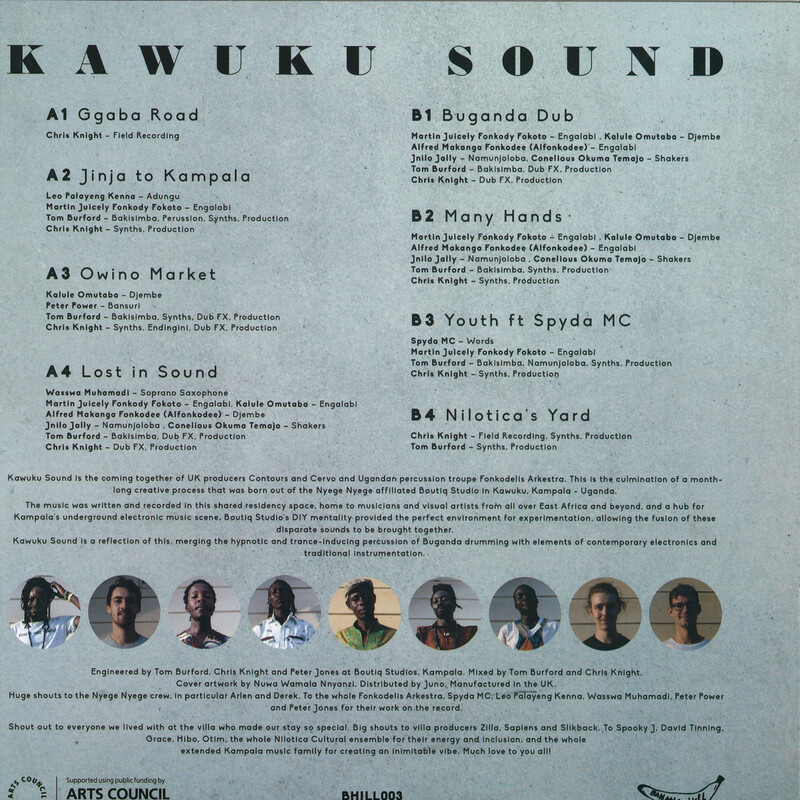 «Kawuku Sound is the coming together of UK producers Contours & Cervo and Ugandan percussion troupe Fonkodelis Arkestra. This is the culmination of a month-long creative process that was born out of the Nyege Nyege affiliated Boutiq Studio in Kawuku, Kampala — Uganda. The music was written and recorded in this shared residency space, home to musicians and visual artists from all over East Africa and beyond, and a hub for Kampala’s underground electronic music scene. Boutiq Studio’s DIY mentality provided the perfect environment for experimentation, allowing the fusion of these disparate sounds. 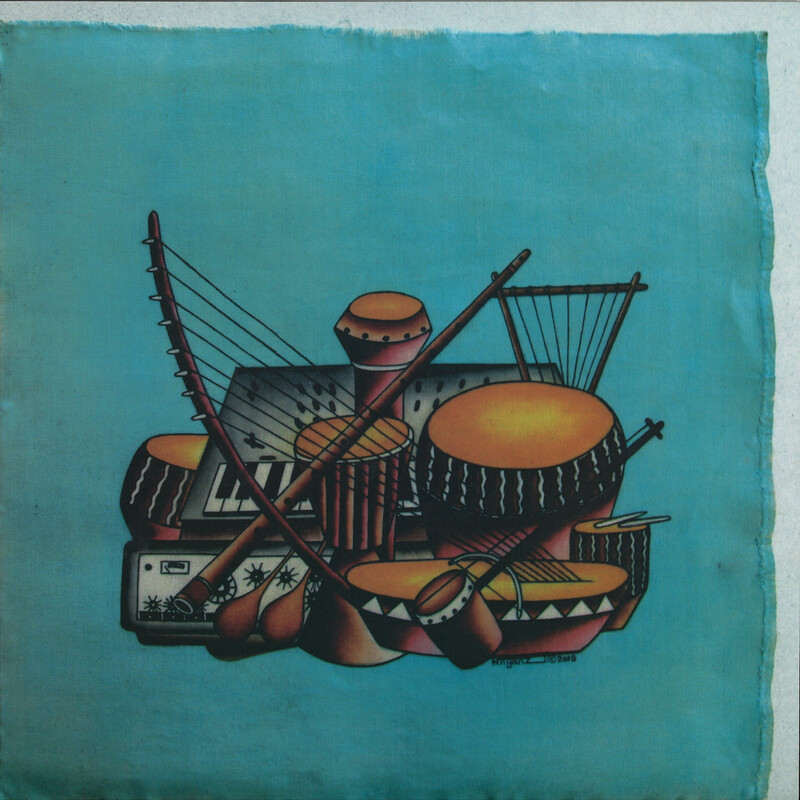 Kawuku Sound is a reflection of this, merging the hypnotic and trance-inducing percussion of Buganda drumming with elements of contemporary electronics and traditional instrumentation. This the first album release to come out on Manchester imprint Banana Hill as they continue to push the boundaries of afro-electronic sounds.